Sizing a Watermaker is best done by considering the amount of time it takes to fill an empty tank when power is available. 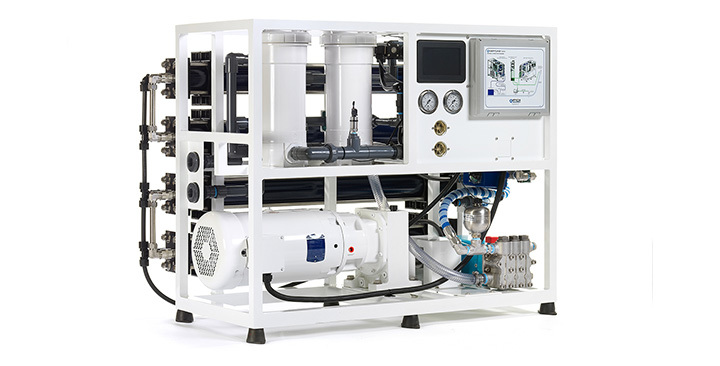 Each of our marine watermakers are engineered to deliver the advertised output in real-world environments, and are tolerant of most global water conditions. 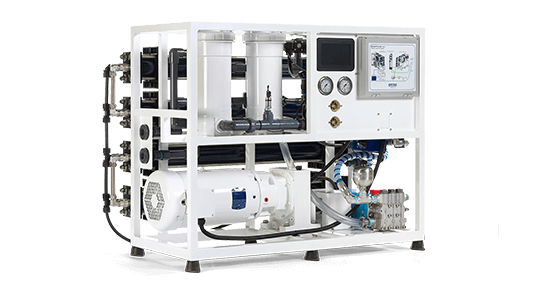 Every FCI Watermakers unit can be customized to fit your specific application, or tailored to your voyaging habits. The result is optimum performance and reliability, with less maintenance and lower operating costs. 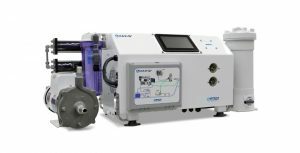 Whether you need a few minor tweaks to an existing series, or a completely new designed desalinator, FCI Watermakers will deliver the system tailored for your needs. If you are looking for the World’s Finest desalinators, or to find out which water maker is best for your boat, you’re in the right place. FCI Watermakers has been providing the industries most reliable and innovative products for over 30 years— click here to see the FCI Advantage, and see why so many have chosen FCI for purified water at sea. 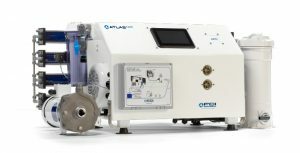 We’ll help you choose a marine water maker, or tell you how desalination works. Browse some of our top products like: Max Q+, Aquamiser+, Atlas+, or Aqualite. Learn about the time- and budget-saving advantages of our DTS+, or Dockside Treatment Systems when it comes to processing dockside water for spot-free, no-chamois wash downs, preserving your sea water membranes, and protecting your boat’s finish. Choose FCI Watermakers, the industries true innovators— Quality. Reliability. Guaranteed.